Hello, my name is Alexandra! 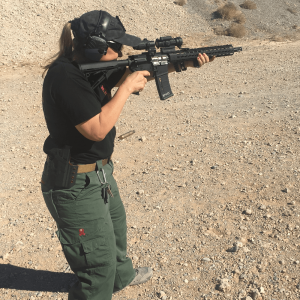 I am a Nevada CCW instructor, NRA certified CRSO/ Instructor. I am super passionate about self-defense, and creating safety awareness mindset. I have a 4th degree black belt in Tae Kwon Do, and a level 5 practitioner in Krav Maga, I am also a cat III graduate of Silver State Law Enforcement Academy. I am truly excited to help the Las Vegas ladies have a fun and safe firearms experience, and help them grow as others have helped me get to where I am, come and join us!